The Saskatoon Police Service is over 100 years old and built on a tradition of excellence. The Service has been aggressively recruiting new members to replace a large number of senior officers who have, or are planning to retire. The Recruiting section has been exploring areas that have not traditionally produced a great deal of applicants in the past; among aboriginal peoples, visible minorities and women. 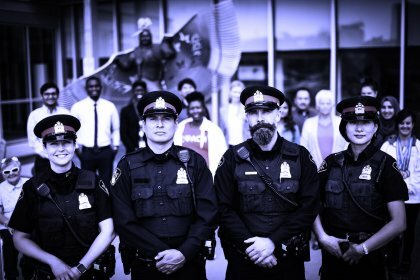 The Saskatoon Police Service has implemented a number of initiatives designed to attract more diverse applicants including, monthly recruitment information sessions, a mentorship program, and advertising outside the province. The rigorous application process catches many applicants off-guard, but it is necessary to ensure the people who put on a Saskatoon Police Service uniform are the right people for the job.